Includes lovebirds, parrotlets, and other similarly sized birds. Includes cockatiels, small conures, and other similarly sized birds. 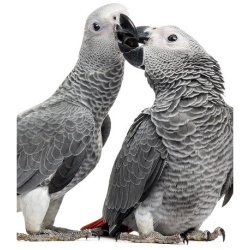 Includes amazons, African grey parrots, large conures, small macaws, small cockatoos and other similarly sized birds. Includes large macaws, large cockatoos, and other similarly sized birds.